Reviews of farmhouses, B&Bs, villas and apartments in Tuscany to help you find your dream holiday. Hand-picked, Visited and Reviewed Accommodations by our team in Tuscany. By contacting the owners directly, They save on agency fees and You get a better deal! 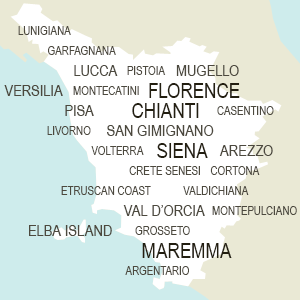 Are you planning your holiday in Tuscany? Whether you're dreaming of Renaissance Florence or medieval Siena, a hilltop village like San Gimignano or Volterra, the vineyard-covered hills of Chianti or the coast along the Maremma, TuscanyAccommodation.com is the guide to help you find the perfect location for you! Our team has visited, selected and reviewed the best farmhouses, bed and breakfasts, apartments and villas to offer a wide selection of quality accommodations. In our guide, you will also find the smallest of lodgings, true gems dispersed in the Tuscan countryside and in medieval villages, that are not always listed in the large travel websites but that often offer the best and most authentic experience of hospitality in the region. Through TuscanyAccommodation.com, you can contact the owners directly to receive an offer personalized just for you so that your vacation can be just as you dream it. Do you want to do a Tuscan cooking class, rent a mountain bike or go on a wine tour and do wine tastings in the area? Just ask the owner of the accommodation you like best, they will reply quickly and help make sure your vacation turns out as you are dreaming it! By contacting the owners directly, you can rest assured of receiving the best rates. The owners will save on agency fees and can offer you the best conditions for your stay. If you wish to book immediately, we also review and recommend hundreds of hotels in Tuscany that are listed on Booking.com in order to also offer the possibility to check availability and make your reservation right now. So where will you stay? A B&B in the charming towns of Pisa or Lucca or a farmhouse in the Mugello countryside or with the panoramic views of the Val d'Orcia? Whatever you choose, we are sure that you will find the lodging perfect for YOU on TuscanyAccommodation.com!